Is anyone else completely freaked out by the monster-sized chicken breasts you seen in the stores these days? Pick up a pack of those guys from the store, and three ( because there’s always three in a pack for some reason ) manage to weigh a pound and a half to two pounds. It’s nuts! Even when I get the fancy $9-per-pound hormone-free cage-free massaged-since-birth ocean-front free-roaming Prius-driving chicken breasts, they are STILL pretty huge. Oh, and still three to a pack. Why do boneless, skinless chicken breasts always come three to a pack?! But chicken breast recipes always want four! I’m going to do my best to make sure that all of my future chicken recipes ( including this stuffed chicken breast recipe ) is in a multiple of 3 as well — it just makes things easier for everyone, and is how I tend to really cook. Here we have another chicken recipe using the ubiquitous boneless, skinless chicken breast, and it calls for only three pieces of chicken! Usually, half of one of these guys is more than enough to fill me up, particularly when crammed full of delicious, tangy feta and cooked spinach. Seriously! Chicken breast stuffed with spinach is where. it’s. at. So don’t let this recipe fool you — three stuffed boneless, skinless chicken breasts is enough to feed six, even though I’ve listed the servings as “3”, as most people would be hesitant to serve a half breast to someone at a dinner party, and I don’t want to ruin anyone’s evening. How do I stuff chicken breasts? Verrrrrry carefully! I’ve found the best method really is as listed in the recipe: place something hard and flat ( like a metal spatula ) on top of the chicken breast, and insert your knife into the thickest part about 2/3 deep. While pressing down on the top of the chicken breast with the spatula, gently work the knife towards the thinnest part of the breast, stopping before you create a “flap” by cutting the whole length. Just make a little pocket! Is this a healthy stuffed chicken breast recipe? Maybe? I generally shy away from calling anything with cream cheese in it “Healthy”, but depending on your dietary needs, this recipe might just suit them! 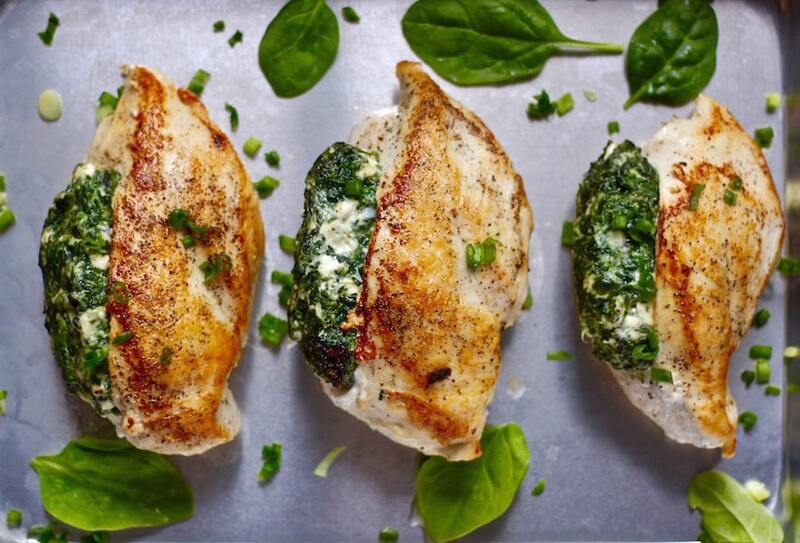 It is a low-carb chicken breast recipe ( and keto chicken breast recipe ) AND it is stuffed with spinach, but only you and your doctor can ultimately determine if something is healthy for you. Can I make this recipe if I don’t have a pan that can go from stove top to oven? YES! 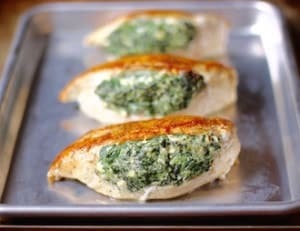 Do step 5 ( browning the chicken in a pan ) in your favorite stove-top friendly pan, then transfer the seared spinach stuffed chicken breasts to an oven safe pan with sides – like a Pyrex or sheet pan. In fact, a TON of people have asked me where I got the sheet pans in the photos — they are from Amazon, one of the cheapest pan sets I’ve ever purchased, and I LOVE them. You can check them out here: Nordic Ware Sheet Pan Set, and if you buy them or anything else on Amazon after clicking, I’ll get a little tiny ( pennies, y’all ) kickback that helps keep my blog up and running at NO extra cost to you. Cut a pocket into each chicken breast. If you are unsure of how to cut a pocket into the chicken without also cutting a pocket into your hand, try this: One at a time, place the chicken flat on a cutting board, and press a large spatula ( or something else that cannot be stabbed, i.e. DO NOT USE YOUR HAND) flat on top of the breast. Make sure that you are pressing the spatula down hard enough to hold the chicken in place. You may need to actually dig the edge of the spatula into the meat just a little bit to accomplish this. Insert the knife 2/3 of the way into the side of the thickest part of the chicken, and slice down to the thinnest part, stopping before you cut through; you want a pocket not a flap. Looks so good. I know what I’m cooking for dinner tonight! Yum, this looks so good!! We are always looking for a new way to cook boneless chicken breasts, too. I am pinning this right now! This looks AWESOME! Gotta try it! I’m always on the search for a new way to cook chicken and this one is new for me! I usually tooth pick the heck out of the chicken to get the stuff stay in. I’m going to try your method! Hey I just tried it last night, I let the openings face each ither to prevent as much from spilling out…. Good tip! Wish I would have read that fist, Lol. But heated up some leftover spin mix and re-stuffed. This look so yummy, what a great recipe! This recipe sounds delicious! Thanks for sharing! It’s crazy! I feel like my market must get some sort of crazy mutant chicken. Of course the upside is that I can only go through the effort of stuffing just three chicken breasts, and get six servings ( aka three nights of dinner for me and my husband )! technically, your right. They are giving the chickens growth hormones. It’s kinda sad. There breasts are getting so big that many chickens die from tipping forwerd and not being able to get back on their feet. Not Perdue chicken, the company is using selective breeding. Breeding a large meat chicken with another. Until an even bigger chicken comes along and then breeding them and so on. No hormones or steroids. My husband works for them, is on the farm, in the hatchery. It’s pretty old technology. Humans did the same thing with corn, over the last 300 years. I would use fresh spinach, really if you are buying organic free range chicken , why would you used processed frozen spinach? I do use fresh spinach for pretty much everything else, but I find using frozen spinach for this particular recipe makes it a little more weeknight-friendly. There are quite a few frozen organic spinach options that I really like at Whole Foods — they are simply blanched and then frozen. I often freeze vegetables that come straight from my garden at home, so I feel like cheating and using frozen spinach isn’t too different than that if it helps me get dinner on the table instead of going out to eat or ordering in. You could do it either way and it would be great. All this recipe really needs is the spinach wilted enough so that the liquid can be squeezed out. I’m always partial to anything involving the addition of garlic, though! Just made this for dinner tonight and it was delicious! Everyone thoroughly enjoyed and three was more than enough for four people! Thanks so much for reviewing a recipe you actually made!! Very helpful. Just had this tonight and it was great. My adult son was not interested in it when he found out it had spinach, but ended up eating a whole piece. I cut each breast in half and the leftover two pieces are MINE!! Thanks for the recipe. Awesome! This recipe is one of the first ways ( and for a while, only ways ) I was able to convince my husband to eat cooked spinach, so I totally get it! I don’t typically comment on recipes, but this was damn delicious, and soooo easy. I made extra filling to stuff mushrooms as well. It was awesome. Thank you so much! I’m glad you liked it! I loooove mushrooms. I’ll try stuffing them with a little extra filling next time I make it, too. Yum! If one is dairy free, what might be a substitute for the cream cheese? Just more feta? You could sub more feta in a pinch, but it won’t have that same creamy texture. I’ve had a vegan cream cheese from Daiya that was good and would substitute nicely, I think! My family loves this recipe! I made a couple of changes….used Parm cheese instead of feta and fresh, chopped spinach. After browing in the frying pan, I deglaze the pan with some wine and chicken broth and pour this over the breast and then put in the oven. Top notich! Do you cook the fresh spinach before you put it in the chicken? Yep — just sautee or steam it until it wilts down, then give it a rough chop and you’re ready to go! Made this for dinner tonight and the hubby and I are pleased! I cooked only two breasts but they were very large so I fried them for 7 minutes and my pan was not oven proof so I left a baking dish with some spray oil in the oven to get warm while the chicken cooked on the stove. Then I transferred the chicken to the hit oven dish and baked for 12 minutes. We let them rest 5 minutes and devoured them in 3. 😉 Thanks for sharing! I was wondering how I can do this without an ovenproof pan! Thanks! Hi do you happen to know the nutritional value of this recipe looks amazing! Do you cook the frozen spinach first? Or do you mix the ingredients while the spinach is still frozen? I want to try this recipe soon, it sounds so good! Yep, cook the spinach according to the directions on the box, and then squeeze all of the water out of it. Then it’s ready to be mixed in to the filling! I hope you enjoy it! This is one of my favorite recipes. Do you need to soften the cream cheese before you add it to the chicken? I’m trying this recipe out this week. It can make it easier if you soften it, but it will be fine right out of the fridge and cut into chunks, too. I made this last night and it’s delicious!!! I made this for dinner tonight and the family loved it. I’m surprised. My grandmother gets tired of chicken, but she ate every bite. I used feta with herbs and it was yummy. Thank you so much for this recipe. Always looking for ways to spice up the chicken. I usually dont comment, but you ladies need to make this if you havent! I used fresh spinach and a bit of olive oil with 2 garlic cloves and cook it down. It came out so good and it had this amazing creamy sauce that is not in the picture! Im going to make this a million times more! I need the nutritional information on the Spinach Stuffed Chicken. Is it okay to use Garlic Powder instead of the cloves? I’ve been on a low carb diet for some time. I have not been pleased with several pinterest recipes (pinterest fails are real!) This chicken was great! Very tasty, different, not covered in breading, gravy, or sugary marinades. Thank you for sharing, this is a keeper!!! Thank you so much!! I have tried quite a few Pinterest recipes myself and had … Uh … Less than desirable outcomes! I try to make my recipes as accurate as possible so others don’t fall victim haha! Wonderful dinner tonight with this recipe front and center. Such a good balance of flavors. I started with fresh spinach, chopped and gave it a quick wilt, and went from there. Perfect quick meal. Thanks! I made this tonight for dinner with guests. WOW! I diverted a bit; I used fresh spinach, goat cheese, and kefir sour cream, and sprinkled the seared breasts with fresh thyme leaves for baking. Everyone raved. I will definitely be making this recipe again and again. Five stars. I tried this recipe tonight and it was really good! I substituted kale for spinach! I also told my blog followers about it! I hope you don’t mind! Thank you for the post! I’m glad you like it! Thank you so much for sharing with your readers as well! I just made this for the second time and love how it tastes and lasts! One problem I had was that that I had a lot of filling left over(probably about half) and I def couldnt stuff the breasts any further. Anyway to use this in other recipes? Hi Moha! I have had that problem, too, when making this recipe 🙂 . I usually put the extra filling in some portobella mushroom caps and bake them with the chicken — which is also a great vegetarian alternative to this recipe in general. What did you serve as side dishes for this chicken?? I made this recipe tonight and it turned out perfect! Your instructions were spot on and mine looked quite similar to the picture, however I didn’t take a great photo. Super yummy! My hubs loved it too. I will definitely be making this again! Thank you for sharing! Oh fabulous! I always try to make the directions really precise, and I’m glad you loved it! I’m not sure if anyone is familiar with Fresh and Easy (a grocery store that use to be in California Nevada and Arizona) but they use to sell this same thing but with salmon instead of chicken. The filing was the same. It was AMAZING. So maybe if you have extra filling, you can use it with salmon too. Going to make this tonight! OMG I have GOT to try that! Thank you so much for the idea!!! I made this tonight and oh my! it was delicious! I put them in my NuWave oven instead of the pan and then regular oven, and I added mushrooms to the filling- doesn’t change the taste we just love mushrooms. these are great- simple and easy but restaurant quality taste! thanks for the recipe! Basil and Bubbly! I just tried this recipe!! I substituted parmesan for the cheeses listed above (because I didn’t have them in my fridge) and let me tell you… this was PHENOMENAL. I’ll be making it again very soon. I cooked these this evening and it was delicious. It was also very filling. I could only eat half of a large breast. I eat a lot of chicken and it’s nice to have a different way of preparing it. Uh-Maze-Ing!!!!!!! Hubby requested this to be made AT LEAST once a month! I will be hording the left over chicken tomorrow. Thanks for the great recipe! Can you substitute mozzarella for the feta and it still taste good? You could substitute mozzarella but the dish will not be as creamy, and the flavor will not be as complex ( read: Delicious! ). I certainly don’t think it would be bad, though. Made this recipe using chicken cutlets which I had on hand. To “stuff” the chicken, I spread the spinach and cheese in the center part of chicken, rolled it up, used toothpicks to close, cooked as directed in your recipe. It was great! And now, I’m back to make it with chicken breasts! Other than that, I’m not changing a thing. And this is what they want for dinner tonight! Made the recipe this evening with some tweeking. Used 2 breast of chicken (23.49 Oz total weight) that I filet to make 4 vs 3 whole with no division, 5oz fresh spinach that I quickly cooked, to wilt, with a little steaming vs 8oz frozen. All other ingredients remained the same. Rather than cut to stuff I simply pounded each filet out, for even cooking, weighed and divided the stuffing which I then spread on each cutlet and rolled them to bake, seam side down in a casserole dish, at 350 for 35 min. At 340 calories each (doing it the way I did it) the recipe was a true winner in my house. Delicious!!! Got this little diddy on deck for the evening with a little mushroom risotto which I’m going to throw some spinach/kale/chard in. I am subbing mozzarella for the feta because it was on sale! I temporarily contemplated an attempt to combine this AND shame chicken, but it’s Monday… and I would hate to over exert myself. Haha Yes!!! I LOVE mushroom risotto — I keep meaning to get my recipe for it up on the blog ( and yep, I love adding those leafy greens to it, too ). I am always pro-incorporating shame chicken, but yeah, save the effort for another night! I am not sure if this question has been asked already but can you substitute the cream cheese for fat free cream cheese? You absolutely can substitute the cream cheese for fat-free! forward to trying more of your recipes! can i use refrigerated spinach instead of frozen? Absolutely! Use the same amount – Just sautée and chop it up first! Mmm it was very good thank you! I liked this recipe even though I mauled one of my chicken breasts and had to fold the gaping hole over and pin it closed with a toothpick XD I ended up only doing two chicken breasts so I put the rest of the filling into the bullet and made a dip with it. Yum! Hello I noticed that the nutritional has been asked a couple of times throughout the replies and I haven’t seen it be confirmed. Can you please confirm this for me as I am in Weight Watchers however I do want to use this recipe. Hi Tasha! I have not confirmed the nutrition facts because I am not aware of what they are, and I don’t want to give anyone a false sense of security or otherwise be responsible for ruining someone’s point or calorie counting. I have been told that there are many great online resources if you would like to calculate them for your own use though! I made this for the first time last night & it was a hit! Its 9AM here & I am already looking forward to my leftovers 🙂 very yummy. Next time I think I will try the metal spatula trick – some of the breasts came out a little uneven, but we were able to secure them with some toothpicks! I’m so glad y’all loved it!! Maybe try adding some fresh, chopped jalapenos to the mix? Can this be prepped early in the day then cooked at dinner? I want to surprise my wife with a nice dinner tonight. I’ve never made it in advance, but I think it would hold up nicely if you did all the prep in advance and then cooked at night! Great recipe. I added sun dried tomatoes to the mix and it was lovely. Just wanted to say thank you for this recipe! I’ve been using it for several months now and it is one of our favorites. Even my three year old will eat it. Thank you for taking the time to thank me! I’m so glad it’s a household pleaser! I had made extra and froze the uncooked stuffed chicken. Would you have any recommendations for thawing and cooking? I have never tried it with this particular recipe, but with others that are similar, I’d let it defrost in the fridge overnight, and then bake as usual, making sure to put it in a casserole dish or lipped pan to catch any moisture that may have accumulated during the freezing. You MIGHT even be able to bake it from frozen, but having never done that myself, I’d be scared to give a recommendation that would ruin it! I’d love to hear back from you on how it turns out, either way! I did defrost in the fridge for 1 1/2- 2 days and just followed the recipe. I pan fried it then baked it just the same as original recipe. Worked great! I am interested in making this for Thanksgiving dinner tomorrow and I was wondering if you had any recommendations for how to keep it warm before serving? I’m worried about drying it out. Also I’m trying to make double the portions but I only have one oven-safe pan (it’s a cast iron skillet will that work?) What’s a good way to work this? The spinach stuffing should keep the chicken fairly moist — just place a piece of foil over them when they come out of the oven and it should give you about twenty minutes of staying warm time. You can also use one pan to brown the stuffed chicken breasts, and then bake them in another pan — just make sure the pan you bake them in has edges to catch the juices! If you want to stick with one pan, your cast iron should work beautifully. Happy Thanksgiving! I made this for dinner tonight. I will quote my husband with his response; “Mmmm, mmmmm!! This is soooo good! Mmm, this chicken is perfect, and juicy and omg, Sooo good!”. It goes on and on, but I will spare you the ongoing compliments. I had feta that I bought just 5 days ago, but it was already on the iffie side. Grrr! I ended up replacing the feta with Cracker Barrel, extra sharp white cheddar, and also added a pinch of red pepper flakes to the filling as we like a “kick” in most dishes. I served it with steamed broccoli spears and roasted fingerling potatoes that I smashed after roasting with a drinking glass, and topped with a bit of cheese, chives, and bacon pieces, then returned to the oven for a moment to melt the cheese. I must say, this was famtastic!!! My leftover filling is now in the freezer awaiting its next soulmate……mushroom caps!! Thank you to the moon for sharing this recipe! It’s a keeper!! I will try to upload the pic after I do the dishes, which is kind of hard with my hubby hugging and kissing me from the great dinner I just made. Thank you so so so much Marianne! Thank you so much!!! It’s one of our favorite meals too! Nope, I don’t agree at all. I’m a big guy and I eat a lot of food. Don’t assume because you feel one way, others feel that way. Was looking for a recipe for dinner tonight. I found this one on pinterest. So i will definitely be making this. I never cooked with feta cheese before. This should be interesting. This looks amazing tho and from the other posters comments i might be making this a monthly staple at least. This recipe is awesome but I’m with you on those huge ckn. breasts. They seem to have also turned tough and chewie. I’ve beat them to death but I want to know why. Any ideas? Thank you! I really don’t know what the deal is with the large chicken breasts. I usually go for the small ones to combat the weird texture! It is clear that you pan fry for 5 minutes on the first side, but how long do you cook when you flip it over? Is it a quick sear, another 5 minutes, etc? You don’t need to cook it on the stove any more after you flip it. Just flip it, and then immediately put the pan into the oven! This looks delicious! Can I make this without a oven? Ours broke down so we only have a stove top to work with. I would really recommend making this in an oven to make sure that everything gets up to temperature — but you might be able to cook the chicken breasts on their own in a pan, and then use the stuffing as a topping ( melting it by covering the pan perhaps? ). Been wanting to make stuffed chicken for a while. But I have picky kids and rarely cook with a busy schedule. This receipi was so simple and my kids loved it! Made it tonight! I took chicken out of the freezer and googled keto chicken recipes, while scrolling through I saw this one. 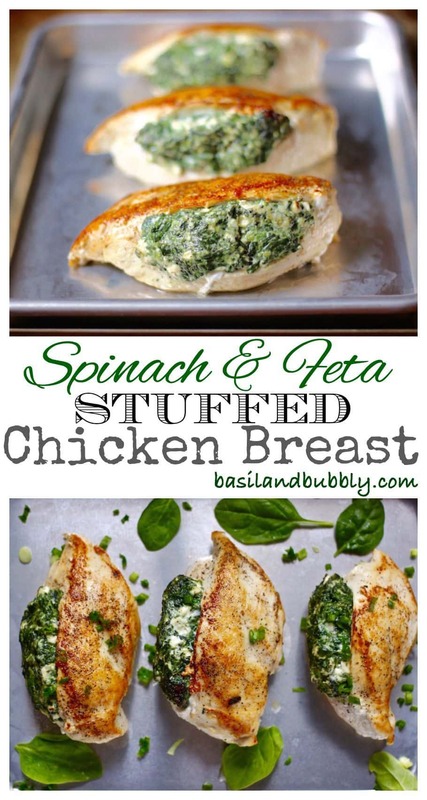 I have a favourite dish at a restaurant and it is chicken stuffed with feta and spinach! Oh my God! Yours is exactly that dish! It was delicious and easy to throw together, for once I had everything I needed for the recipe “on hand”. Usually I have to go on a quest for something and often it’s something I don’t even know what it looks like! I have made this recipe and instead of cutting a pocket, I pound the chicken breast to about 1/2 inch thickness and fold it over the cheese/spinach mixture securing with a toothpick. For those who like bacon, you can also wrap a piece of bacon around the chicken and secure with a toothpick prior to browning. I have also pounded the chicken very thin, spread the cheese/spinach mixture over it and roll it prior to cooking. This is great for making appetizers since the breast can be sliced into “pinwheels” after it cools. Like the others have said, this is a great recipe for those on the low-carb/Keto diet! We made this with 2 chicken breasts and used 1/2 of the cheese/spinach mixture, turned out great. I used my cast iron pan and only had minimal cheese scraping to do at the end. Thank you for this excellent recipe! Will the goat cheese, a substitute of feta, be able to use in this recipe to replace the feta? 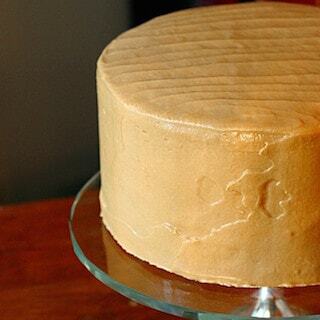 Since it has a soft texture that can be easily spread and its taste is less salty than feta. Well bless your soul! I made this last night for a family Father’s Day supper get together and was it even a big winner!!! Everybody loved it and wanted the recipe. I too had those chicken breast on steroids so it took a bit longer to cook. I served a hole breast to each person and provided them with container to take home their leftovers…BONUS!!! Thank you for sharing this delicious recipe. It is now a family favorite and my Daddy has requested for the next Father’s Day meal! So very good. I marinate my chicken first . Classic oil vinegar and soy The rest is the recipe Easy, and quite a smash with the fam!! What do you mean by top side down? Confused on that part! This sounds amazing, adding it to my meal plan and cant wait to try it out this week! The top of the chicken breast ( i.e. not the part that was cut off from the bone ) should be the side you place in the pan. I hope you enjoy it! Did not cook the spinach at all. Just drained well. Fabulous recipe!! Thanks!!! Isn’t ten minutes short time to bake chicken? Just making sure don’t way kids sick when I make this. Also can we use can spinach? This was so good! I will definitely making it again. Thbank you! Made this last night and was delicious! Was worried it might be a little dry but my concern was unfounded the flavours were great and chicken was juicy. So simple too! Thanks for sharing such a great recipe ???????? i just came here to say that I am OBSESSED with this recipe – and my boyfriend is, too. He literally requests it once a week! Thank you for your blog, sincerely!! Oh oh! Didn’t wilt the spinach first…hope it will taste as good as everyone is saying! I must’ve done something wrong because unlike the majority, I thought this was very bland. Not enough salt of flavor. Needed a sauce of some sort. Took much longer to cook too. I won’t be making this again . I made this yesterday and it was fabulous – even better today. I didn’t have feta or frozen spinach on hand, so I substituted provolone (OMG – YUM) and sauteed fresh spinach with garlic, then drained out all water. I seared for the required time in my cast iron skillet, flipped them then baked. AMAZING FLAVORS! For those who’d like a bit of sauce, if you use a good cast iron you should have a small amount of liquid in the pan. De-glaze with a small amount of water and you’ll have a bit of sauce. Mine came out so juicy it didn’t need any additional sauce. I will say fresh garlic is key – powder just wouldn’t give the same flavors. Thanks for a great recipe – it’s simple and it’s definitely a keeper. I also use fresh spinach for this pretty often. I haven’t tried with provolone though. I bet that was awesome! Thank you for taking the time to leave a comment and I’m glad you enjoyed it! What do you usually pair with this for sides?? I love to do a cauliflower mash if I’m staying low carb, or some couscous if I’m eating whatever I want! I made this chicken with two big chicken breast’s and then cut them in half and they were smaller portions but still tasted AMAZING!!! I love this recipe. I didn’t have garlic cloves so I just used garlic powder…still tasted great. Thanks for the recipe! Made this tonight- very good!! I tripled the recipe and used fresh spinach instead (sautéed and drained), only used 5oz of feta, and about 9 oz cream cheese. Baking took about 25/30 minutes and I covered the pan with foil for the last 15. My husband and two teen boys gobbled it up so fast we only have one chicken breast left! Great recipe! Followed the recipe (using two separate pans) and it camd out perfectly. Tried making this for the second time. The recipe simply doesn’t work. 15 minutes to cook through an entire chicken breast? What world do you live in? Also, “until the juices run clear” is not a safe method of determining if the chicken is thoroughly cooked. I, like the many many other people who have managed to make this recipe successfully, live in a world where if you pan sear chicken breasts for five minutes in a hot pan and then throw that pan into the oven, the chicken breasts do cook. Ok I tried this recipe last night but was a little confused on if I should have covered the chicken breasts before placing in the oven. I actually cooked the breasts covered a little longer in the oven and it tasted ok. Was I supposed to leave them uncovered? Didn’t want to rate until I try again.